The U.S. Holocaust Memorial Museum compares the current refugee crisis to the one Jews faced during World War II. The U.S. attitude towards Syrian refugees has been criticized by the United States Holocaust Memorial Museum. It compared the plight of the refugees to the pain of the many Jewish refugees escaping Nazi Germany. The U.S. Congress controlled by the Republican Party is presently coasting an anti-refugee sentiment wave among the American public. The feeling was the consequence of terrorist attacks in Paris which left about 130 people dead. More than 200 bystanders were injured. 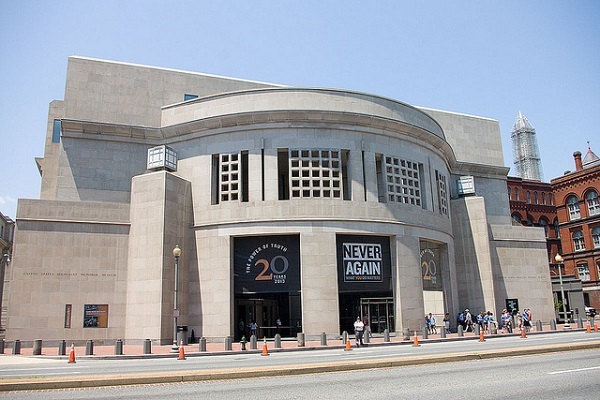 The United States Holocaust Memorial Museum issued its statement after there were efforts made by a number of politicians on both sides of the partisan divide to stem the refugee flow from Syria to the United States. The museum, headquartered in Washington D.C. reminded Americans that their country has seen this picture before. The statement said that it is aware of consequences faced by Jews during World War II, who perished after failing to escape the Nazis. It added that the museum observes the present refugee crisis with concern, linking current happenings with historical events faced my millions of Jews who were trapped in Europe at that time. The Jews were compelled to survive under a brutal, dark regime which either harassed or imprisoned, and most of all, killed them. The museum also stated that it is fully aware of security concerns and even in this light the U.S. should not reject on the thousands making up legitimate refugees. The museum statement and its variations have been echoed by other commentators as well. Daniel A. Gross of the Smithsonian Magazine wrote that with politicians of both U.S. and Europe calling a refugee ban in the context of national security, the parallels between today's events and of the Second World War are distinctly seen. Similar views have been echoed by Orthodox Union Advocacy Center, the biggest lobbying group for Orthodox Jews. It has asked Americans to remember their own history. The Center said that the whole group of refugees should not be tarnished by actions of a terrorist organization. It said that the Jewish community is more than familiar with the debate, being a refugee from Hitler's Europe. The United States, at that time, turned away those fleeing people due to innate suspicions concerning their nationality. The latest legislation passed by U.S. House of Representatives makes it much tougher for refugees from Syria to set foot on American soil. President Barack Obama has been urged by the Republican governors of 27 states to not accept a single Syrian refugee.